Today Nikon revealed three new lenses: AF-S Fisheye NIKKOR 8-15mm f/3.5-4.5E ED, AF-S NIKKOR 28mm f/1.4E ED and AF-P DX NIKKOR 10-20mm f/4.5-5.6G VR. While the latter 10-20mm f/4.5-5.6G VR is an addition to the DX line-up of lenses, the 8-15mm f/3.5-4.5E Fisheye and the 28mm f/1.4E lenses are pro-grade lenses designed specifically for full-frame cameras. Let’s take a look at these three lenses in more detail. It has been a while since Nikon released a full-frame fisheye lens. The Nikon 16mm f/2.8D has not been updated since 1993 and while it is a great lens, it does not have the resolving power needed for the latest high-resolution cameras and it does not have all the latest optical technologies that Nikon has been incorporating into the current generation lenses. In short, it is long overdue for a refresh. 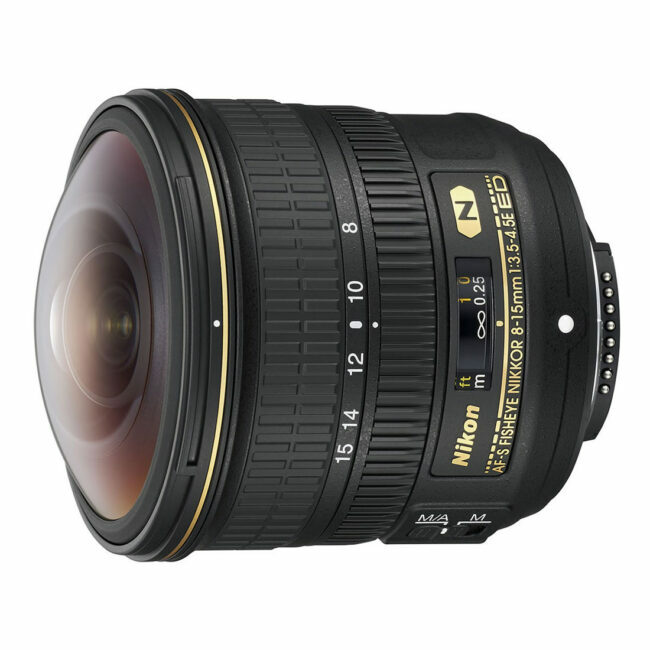 The Nikon 8-15mm f/3.5-4.5E is a completely new lens that is targeted to compete with Canon’s 8-15mm f/4L fisheye and provide a much wider angle of view. 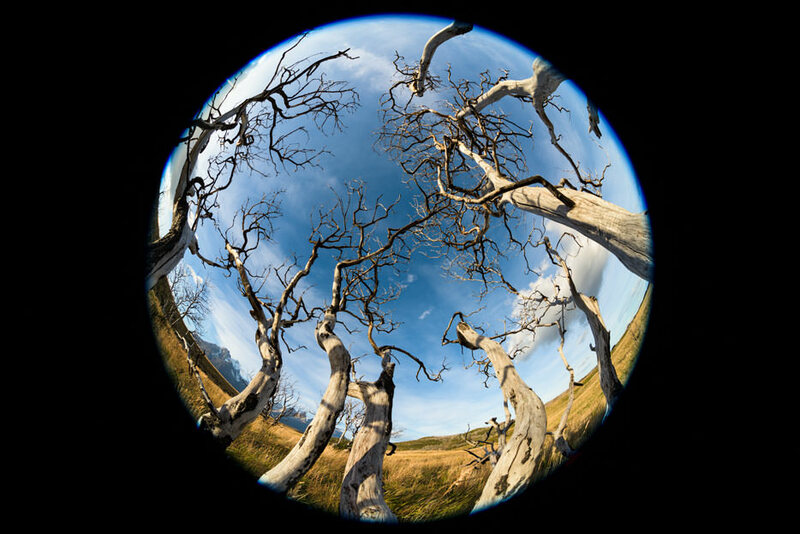 At its widest focal length, the lens creates circular fisheye images with a 180° angle of view (vertical and horizontal), while producing full-frame fisheye images with a 180° diagonal angle of view at its longest focal length of 15mm. As with all the current generation Nikkor lenses, the 8-15mm f/3.5-4.5E ED fisheye boasts the latest optical and coating technologies. Nikon incorporated an electronic diaphragm for precise aperture changes, silent wave motor (SWM) for quick and precise focusing, three ED glass elements for superb sharpness and chromatic aberration compensation, Nano Crystal Coat for drastic reduction of ghosting and flare in images and fluorine coating to prevent dust and water drops from sticking to the front element of the lens. If you don’t know how to interpret the above charts, check out my article on how to read MTF charts. On the wide end, the lens is supposed to have stellar sharpness and contrast, from the center of the frame, all the way to the extreme edges. The lens sharpness is going to drop a little when zoomed in to 15mm, with the extreme edges looking visibly softer compared to the center, which is expected from a fisheye lens. Still, the contrast and sharpness stay very high in most of the image frame, which is impressive. It looks like Nikon did a great job in making sure that the lens will resolve very well on high-resolution cameras like the Nikon D810 and its upcoming replacement. The lens will retail for $1,249.95 and it is already available to purchase today. My personal favorite among the three newly announced lenses is the new Nikon 28mm f/1.4E ED. While the Nikon 28mm f/1.8G is a relatively recent release (see our in-depth review of the Nikon 28mm f/1.8G), it is an enthusiast-grade lens and hence it was never considered to be a replacement for the Nikon 28mm f/1.4D classic. We can see that the new Nikon 28mm f/1.4E is supposed to be sharper than the 24mm f/1.4G in the center. But take a look at the extreme edges – the 24mm f/1.4E is significantly worse in comparison. And that’s just at its widest aperture of f/1.4. Stopped down to f/2.8 and smaller, I expect the Nikon 28mm f/1.4E to be stellar. Also, pay attention to how close sagittal and meridional lines are to each other. This is a sign of very low level of astigmatism and good bokeh. In fact, the MTF of the lens looks exceptionally good for a wide-angle lens – even the NIKKOR 35mm f/1.4G looks much inferior in comparison! With the existing line-up of 20mm f/1.8G, 24mm f/1.4G, 24mm f/1.8G, 28mm f/1.8G, 35mm f/1.4G and 35mm f/1.8G wide-angle lenses, it is exciting to see that Nikon is filling the blanks with yet another superb lens release. Based on my experience with Nikon primes, I have no doubt that the Nikon 28mm f/1.4E ED is going to be an exceptional lens that will appeal to many professionals. 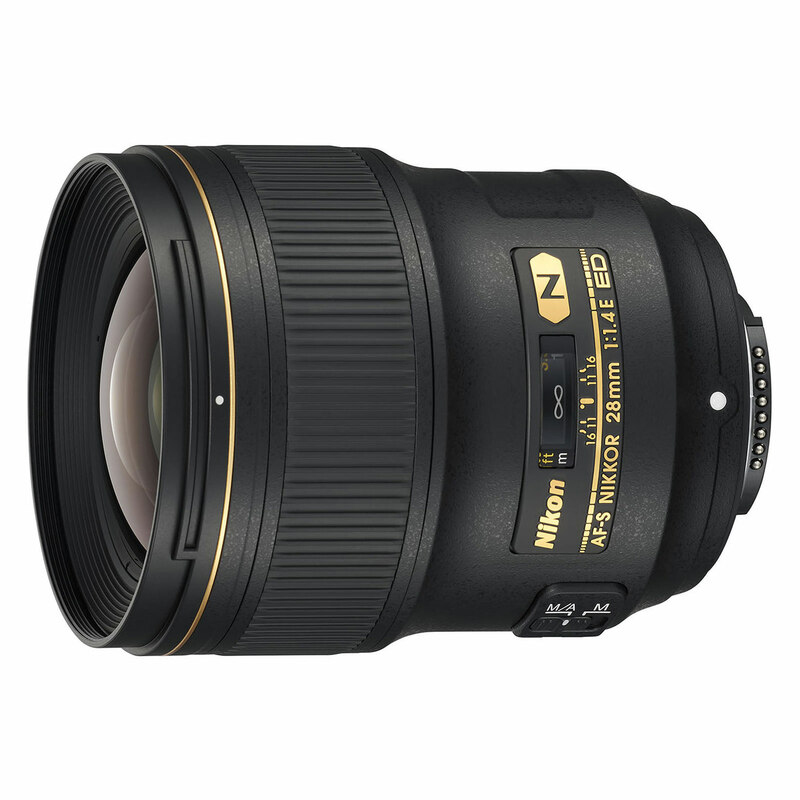 With its price tag of $1,999.95, it is not a cheap lens to buy, but let’s not forget that the Nikon 24mm f/1.4G also sells for the same amount, so the pricing is not unexpectedly high. 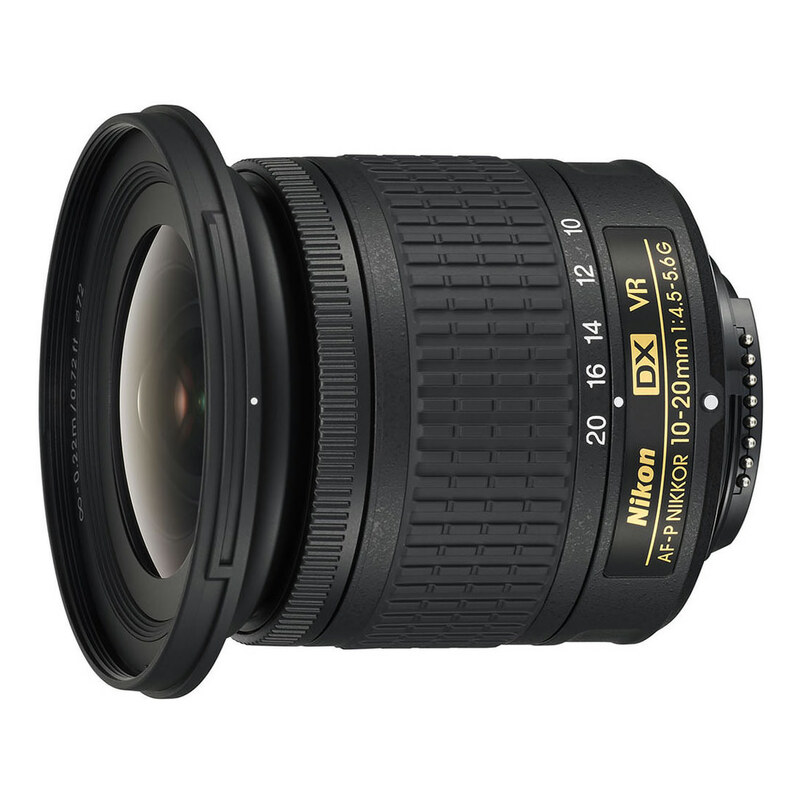 Anyway, I won’t spend much time exploring the new DX NIKKOR 10-20mm f/4.5-5.6G VR. You can see all the details yourself by checking out the lens in our lens database. MELVILLE, NY (May 31, 2017 at 12:01 A.M. EDT) – Today, Nikon announced three exciting new wide-angle NIKKOR lenses to give a diverse array of users brilliant image quality and maximum versatility whether shooting vast landscapes, architecture, interiors, events and many other wide-angle applications. The new ultra-wide zoom and lightweight DX-format AF-P DX NIKKOR 10-20mm f/4.5-5.6G VR is an excellent value for budding shutterbugs and novice shooters looking to explore a wide-angle point of view, while the new AF-S Fisheye NIKKOR 8-15mm f/3.5-4.5E ED is an FX-format circular fisheye zoom lens for photographers and content creators who desire a truly unique perspective. Lastly, the new AF-S NIKKOR 28mm f/1.4E ED is a superior prime lens that provides professional and advanced photographers the ultimate in wide-angle image quality. Both the AF-S Fisheye NIKKOR 8-15mm f/3.5-4.5E ED and AF-S NIKKOR 28mm f/1.4E ED are the latest additions to the Gold Ring Series of NIKKOR lenses, a mark identifying Nikon’s premium lens offerings. The optical formula of the Fisheye NIKKOR 8-15mm consists of three ED elements to reduce chromatic aberration, while two aspherical lens elements minimize coma even at the widest aperture, and enable a more compact lens size. Additionally, the front lens element is coated with Nikon’s non-stick Fluorine coat to help resist dirt, fingerprints and smudges, while Nikon’s exclusive Nano Crystal Coat helps reduce ghost and flare. I actually think the new 10-20 lens is a great light option to add to a lightweight DX kit. My critical photography work is architecture and I primarily use the 14-24, 19 & 24 PC-E lenses with a D810 and D600. I currently also have a D5500 (was to be my wife’s but she did not take to it) with a 16-85 but adding a cheap 10-20 allows me to use it as a nice handheld option to be used for pre-shoot scouting, testing composition of shots before setting down my tripod, and the occasional tough shot where setting up a tripod is not practical. Here the VR will come in very hand if I can shoot at 1/2 second. 100% agree Glen, this will be perfect for my travel kit with d5600 and 70-300 AF-P VR, I almost took a 10-24mm, this lens will be much cheaper, lighter, smaller, faster & etc. And I’m sure it’ll have better results with these new 24mp sensors, so thanks Nikon!!! I agree too. And I have to disagree with Nasim this time. There is a market for this lens. I believe it is targeted directly at the 10-18mm from Canon. So it proposes a great option for “beginners” and everyone who is not focused at ultra wide angle photography, but wants to at least add the option to his set up. I agree too. If I was still shooting DX this would be at the top of my list for UWA. Yes, it’s slow, but I also expect terrific optical performance out of it and it’s so inexpensive! I’d probably prefer the Tamron equivalent and it’s slightly longer length, but that’s also significantly more expensive. Nikon should give up on DX DSLR lenses altogether and leave that market to third parties (they pretty much have already anyway). Anyone who wants fast DX glass, just get the Tokina 14-20/2 or Sigma 18-35/1.8 and the 50-100/1.8; anything Nikon could make in that range won’t be better but certainly more expensive. Nikon should move DX to mirrorless and come up with compact cameras and lenses. No easy task as they would need to play catch-up with Sony and Fuji. Sold my last DX lens (18-140) today even though I still have a D500 DX body (exclusively used with tele lenses for reach). One chapter closed after some 13 years. Well sir,I had three copies of tokina 11-16 f/2.8 and four copies of both nikon 12-24 f/4 and 10-24 f/3.5-4.5(Two for each).So disappointed for their poor performance,also not to mention that tokina was a little better.Now 10-20mm f/4.5-5.6 came in with that unappealing history in mind..I wonder how it will work in low-light condition with its slow apperture.I have recently bought/purchased tokina 14-20 f/2 and viola!I suggest you to have a look at it,if you don’t like to take your best shots for two hours and work on post processing for several hours afterwards!Now,I take my shots for that much time and spend less time on post-processing.Of course,I didn’t know that this is crappy lens that makes me work that much time on post processing!My initial thought was that my shots were crappy!But Tokina 14-20 f/2 changes everything.Of course,you need to have a good copy of that lens as well. Well said. I agree. Sony and Fuji produce awesome mirrorless and if I was Nikon I would do exactly as you suggested and move from of DX to mirrorless. Nikon never listened to their clients and that’s why they are where they are. Nasim asked for 20, 24, and 28mm DX primes. 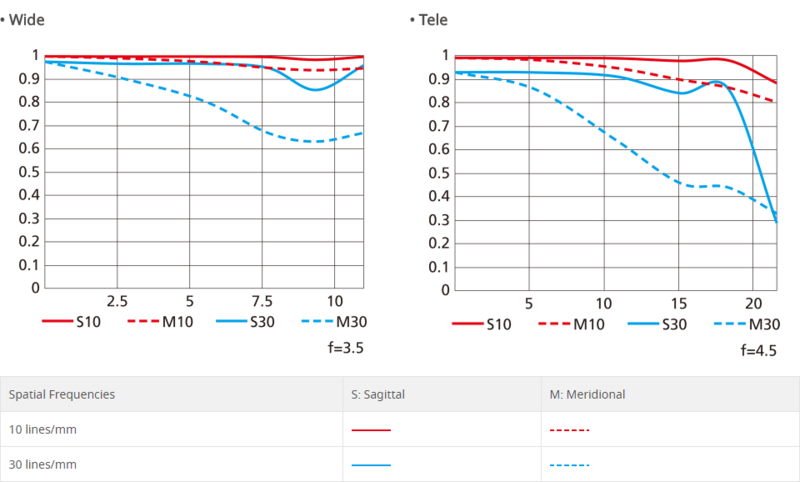 Those focal lengths already exist for FX and it is very unlikely that a DX lens will be significantly smaller (Nikon DX DSLR have the same flange-to-sensor distance as the FX ones). And if you got for either of those and the available 35mm DX, you may as well get the Sigma 18-35. IMHO, the majority of buyers who go for a D3x00 or D5x00 will stick to the kit lenses (and the new AF-P ones are certainly a welcome addition/replacement), and maybe add the 35 or one of the two macro lenses. Which leaves the D7x00 and D500 buyers as those glamoring for more options – but what are they really missing that can’t be filled with an FX lens. Some 14/15/16mm prime lens and possibly one even wider (8-10mm). Because of its price, the D500 takes a special place, being a niche camera for those who need its performance. Not sure that niche warrants a full DX lens system though. I certainly don’t see mirrorless as being as superior to DSLR as many want us to believe, but it is obvious that Nikon is not top tier when it comes to live view AF and video with any of their current DSLRs. I am not even sure that shrinking camera bodies beyond the current size of a D3x00 or D5x00 body is desirable. But in some 16 years Nikon didn’t extend the DX lens system into a full system, even when DX was the only game in town. So I don’t see why they should do so now when overall camera sales are plummeting. Nikon is in a tough spot now – Fuji and Sony are competing on the DX and FX sector and there’s also m4/3 to consider. The Nikon 1 Series obviously has been a failure and Nikon got cold feet with regard to the DL Series. The bulk of their profit comes from DX where they don’t have as complete a dedicated lens system as Fuji offers (Sony’s has holes too) but a lot of what’s missing can be had in FX or from third parties. The FX lens line-up is fairly complete, but here Sony is moving ahead with newer camera technology. I am certainly not in a position to determine which issue Nikon should tackle first, but it seems plain obvious that “business as usual” isn’t working anymore. Smartphones have killed the P&S cameras. The higher-end compacts and “bridge” cameras eat into the lower-end DX and mirrorless interchangeable-lens cameras market. What’s going to be left standing in the end – the high-end DLSR and interchangeable-lens mirrorless. Certainly a much smaller market than what DSLR and mirrorless makers have been used too. If Nikon wanted to flesh out the DX prime lineup for those concerned about size/weight, they could do so with a group of f/2 primes, say 14, 16, 18, 24 on the wide end (21, 24, 36 mm FX equivalent). They would be much smaller than the FX primes (just look at the FX 35/2 D), and would only be giving up 1/3 of a stop to the f/1.8 primes. Given the quality of modern sensors at higher ISOs, that’s not much to give up. Even better would be to add VR to these, negating the small aperture loss even more. Maybe a silly question, but I would still like to know. If I am standing at spot X with a 24mm f/1.4 lens, how far backwards would I have to step to get the same framing with a 28mm f/1.4 lens? Or, if I had a 28mm lens and switched to a 24mm lens, how far forward would I have to move? My point being that the difference in framing is, at a guess, minimal, and if you own lens A instead of lens B, you could just “zoom” by sneaker (move). The answer is, maybe a foot. I just tried something, I put my 20mm lens on my D3 and my 24-70 on my D750 (fixed on 24mm). I then stood about 10 feet from a wall and with my 20mm I looked through the viewfinder and noted what was the lens covering. I Then took my D750 and the 24-70 (on 24mm) and in attempt to have the same coverage I needed to move only about 12″” further back. That’s it. The difference between the 24mm to the 28mm is even smaller. I love my 20mm and when photographing brides getting ready it helps me to have a nice environmental photo. The truth is though, I use it maybe in 1 percent of my photos. Depending on what you do, it might be a big expense for small return. Thanks for taking the time to do this. It kind of makes my point. If you have one or the other, it would seem to just make sense to move slightly to frame as needed, instead of owning both lenses. Having the wider lens would seem to me the approach to use. If you can not move, you can always crop the picture some to get the framing you need; while if you had the other lens, there is no way to “add” in the part that is not shot (unless you take multiple pics and stitch). Obviously this only works for lenses that are so close in range. Hi William and Motti, Apologies for my late reply to your discussion. where d1 and d2 are the subject focus distances. (f2/f1 – 1) = 24/20 – 1 = 0.2, which is 20%, therefore the distance we need to step back with the 24 mm lens is 20% of d1 = 2 feet. The problem with this approach is that the act of stepping back by 20% of the distance to the main subject in the scene changes the perspective of all non-flat three-dimensional scenes. Whether or not this shift in perspective matters to the photographer, and/or to their intended audience, heavily depends upon both the scene itself and the intended audience of the captured image. NB: Absolutely no criticism intended. I’ve written the above just in case it is useful to you or to any other reader of Photography Life. Oh well. I had some experience with Nikon 12-24 f/4, initially I thought there was something wrong with my hands, it turned out that actually the lens produced results below my expectations, not me. And now, after several years of hopes that some day there will be a new true wide angle lens from Nikon, that day has come… but that new Nikkor 10-20, being AF-P, is not compatible with my fully capable and greatly performing Nikon DX camera… For me it seems the Japanese manufacturer just lost another $300 I’d be happy to spend on that lens. “The problem is that the new AF-P autofocus motor system only works on camera models originally introduced since about 2013. If your camera is too old, the focus system, even in manual mode, won’t work at all, making the lens completely useless with no workaround. It should work works great on the newest D3300, D500 and D810. Nikon says forget it on any of the D1, D2, D3 or D4 series, the D800, D700, D610, D600, D300 series, D200, D100, D90, D80, D70 series, D60, D50, D40 series, D7000, D5100, D5000, D3200, D3100 or D3000. It also won’t work on any 35mm camera. Nikon cautions that you need to have the latest firmware installed for it to work on the D5500, D5300 or D3300”. One year ago I thought I would never buy another DX lens but now I just pre-ordered the 10-20VR as a travel lens to complement the (IMO) superb 16-80VR for my go-to-camera the D500. I have the D810 and a whole slew of 1.4G’s but the AF system in the D500 is a game changer. The AI in the D500 guesses what I want in focus correctly 95% of the time so with it I just compose and shoot without worrying about the focus point. Brilliant. I almost didn’t get the kit 16-80 lens and threw it in last minute and I’m so happy I did I find it the perfect compliment. I’m also finding I’m using my FX lenses on the D500 like the 24/1.4G, 35/1.4G, 105/1.4E, 24-70/2.8G, etc. For wide I think the FX still has a definite advantage so most uses I’ll be shooting the D810 with 14-24, 20/1.8G but given the price of the new 10-20VR it was hard to resist especially for travel or when I just don’t want to carry a bulky system. WOW, very impressive collection you have there sir :), I strongly would like to buy the 10-20mm myself for my d5600, please let me know your opinion about this lens, when you receive, because I’m sure we’ll receive with at least one month later only, many thanks!!! 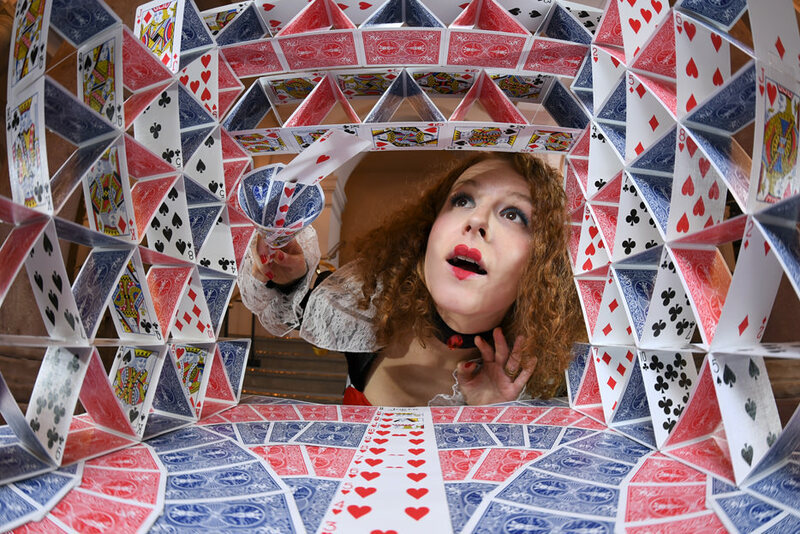 Thanks for link to the fish-eye article. Always regarded the Nikkor 14-24 as my ‘fun’ lens, but now the 8-15 looks very tempting!